The new Chicken Scratch line-up of products from Papertrey Ink are adorable and complete with endless possibilities. I've created a couple of cards to share today using these products and really can't wait to try out more things...maybe become a bit more bold in my use of the stamp set :). My first card uses the Chicken Scratch stamp set to form a background above my focal point and then the Background Basics: Super Gingham stamp set was used below my focal point. I've always been a huge sucker for anything gingham related, so I adore this new stamp set. 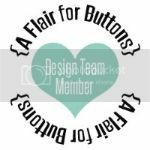 I first started out by running a block of Vintage Cream cardstock through my die cut machine with the new Cover Plate: Chicken Scratch die and then I stamped my gingham in Aqua Mist. I added a cozy, homespun stitched chick using the Seasonal Stitching: Birds die, cut from Vintage Cream and Lavender Moon felt. I attached it to a die cut Limitless Layers: 3 1/2" Oval. It is stamped with images from the new You've Been Framed: Oval stamp set with my sentiment coming from the Friendship Jar: Spring Fillers set. This next card uses the Background Basics: Super Gingham stamp set combined with the Chicken Scratch set to form a quick and easy background down the left edge of my card. The tiny stamps in the Chicken Scratch set really add to the basic gingham and I love experimenting with them. My focal point is a die cut Tag Sale #1 die with an embroidered heart which uses a die from the Phone Case Details collection. My sentiment across the bottom comes from the Chicken Scratch stamp set and is stamped in Classic Kraft ink. I used Vintage Cream Linen Cardstock for this card and love how the texture comes through for this particular theme and feel. I can't wait to see how the other designers have used these products. I know I'll be blown away and inspired! Thanks for stopping by. P.S. The PageMap's 2015 Card Class Giveaway goes to.....HEIDI GONZALEZ! Congratulations Heidi, please send me your email address and I'll be in touch soon :). Melissa, your cards are really so lovely! Love the soft colors and sweet designs. That gingham paper is very cute...I love it with the coverplate like Melissa made on her card. Stunningly and dramatically beautiful. Your blog is the most inspiration blog on the internet. Oh my! Gingham is my very favorite! Love your beautiful cards with there pretty stitched focal points! Gorgeous!!! Such pretty cards. I always have gingham paper in my stash. Hadn't heard of chicken scratch, so I love how the stamped designs are used on your cards. They saved THE BEST for LAST!!!!!!!!! Love both, but the birdie one melted my heart!!! The Easter card is precious - love the bird accent and the different colored patterns you have used. Just beautiful! Your chicken card is enchanting in every detail! So super sweet! Love these!! I love these cards, Melis! They are so sweet! Love how you used the soft pastel colors and all the beautiful details you added. Lovely muted colour set, just so delicate! I LOVE your Easter card! That little bird is too cute! Love the cute cards. And adore the little chick!